A little over a year ago I published the results of a study that examined which metrics were most consistent on a year-to-year basis for starting pitchers. My colleague, Matt Klaassen, followed up and expanded on that study recently here at FanGraphs. Matt’s study also focused on starting pitchers–those with a minimum of 140 innings pitched in consecutive years. I can’t speak specifically to what the common wisdom is Justin is referring to, but I can certainly run the correlations for relief pitchers and compare them to what I found for starters. **Indicates correlation is significant at the .01 level. *Indicates correlation is significant at the .05 level. The order of the strength of the correlations for relievers is quite similar to those for starting pitchers–batted ball data tends to bring the greatest consistency, year-to-year. So, if a reliever has a tendency to induce a large percentage of ground balls we would expect that pattern to continue from season to season. Additionally, many of the leverage metrics show average to above-average correlation, with pLI garnering the strongest relationship. While the order of the strength of each correlation is pretty consistent with starters the strength of those correlations differs in some significant ways. In terms of basic batted ball data, the correlations for both sets of pitchers compare quite well. But after the first three, things really begin to separate. For example, relievers have a year-to-year correlation of .67 in terms of their strike out rate. That’s a pretty solid correlation, but it’s .15 less than for starters. The same goes for swinging strike rate (-.15) and walk rate (-.13). Even outcomes such as HR/FB rate that has a low correlation for starters (.29) is significantly less reliable for relievers (.07). 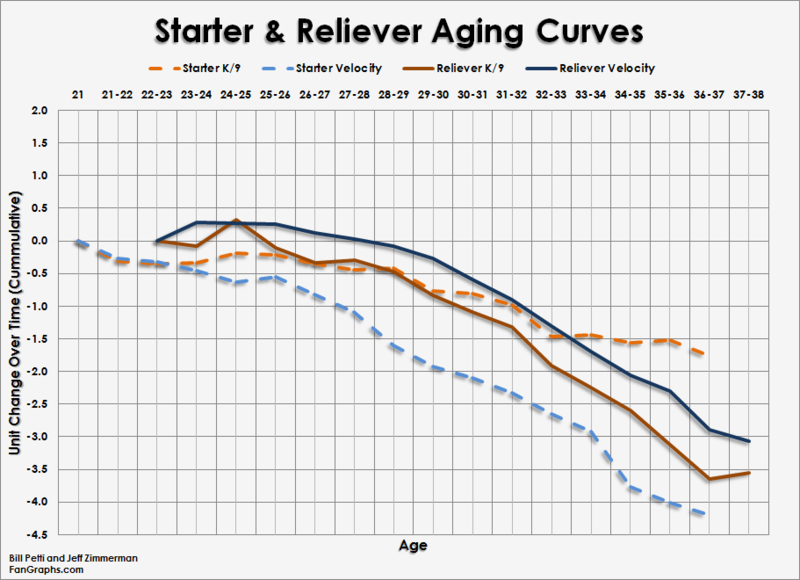 This lines up well with what Jeff Zimmerman and I found regarding pitcher aging and how it differs depending on a pitchers role. Let’s take the example of strike outs. Jeff and I found that while starting pitchers were able to mitigate against their decline in velocity–and therefore experienced a less drastic decline in their strike out rate–relievers were far more dependent on their velocity. As a result, relievers generally were more likely to see sharper declines in strike out rates from year to year. So, if the common wisdom says that reliever performance is more erratic from season to season than starters then I’d say it’s pretty solid wisdom at this point. We hoped you liked reading Reliever Pitching Metric Correlations, Year-to-Year by Bill Petti! 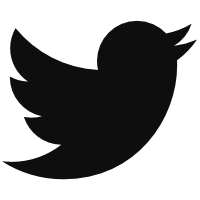 This is some great research and information. Pieces like this one are what keeps me coming back to Fangraphs. I agree, mostly, but there is one important omission. Much of the reason for higher year-to-year correlation for starters must be due to the much larger sample sizes. Yes, that is correct. Without matching up the underlying number of TBF (so that it is the same for starters and relievers), a comparison of correlations is worthless. As it turns out, if you use the same number of underlying TBF (which is difficult obviously, since relievers max out at around 300 or so), you will find that relievers have a HIGHER correlation than starters. My guess is that their true talent changes less from season to season for a variety of reasons, perhaps one of them being more stable health due to fewer pitches thrown.